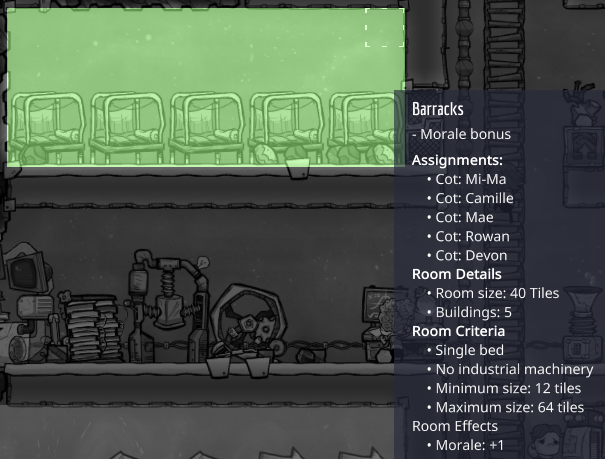 Was a little confused when I noticed the Barracks description changed to specify a "single bed"- but it still works the same as it always has! Either it's bugged and supposed to only work with 1 bed, or the description needs fixing. Single bed = for one person?